Riposta Relais is not the usual holiday home in Tuscany, with a pool and in the province of Siena. 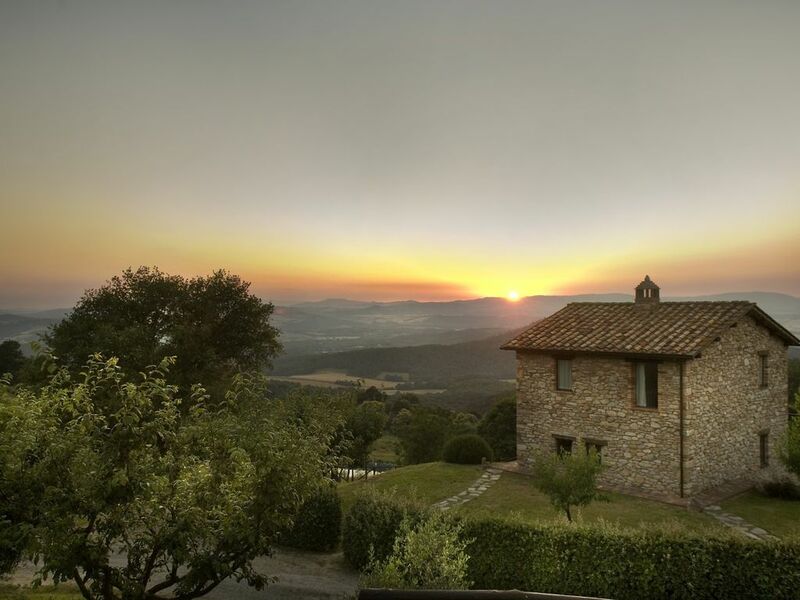 Enjoy the silence and the quiet of nature, fill your eyes with the breathtaking view of the Chianti and San Gimignano, stroll among the olive trees and in the shade of the woods, or relax in the pool with a view of a postcard Tuscany. Due to its strategic position, Riposta Relais is the optimal starting point to visit Florence and other cities of art, follow the wine roads in Chianti, or experience the thrilling spectacle of the Palio di Siena. Our infinity stone pool is a precious refuge, a privileged point from which to enjoy a unique and regenerating view of San Gimignano and the surrounding countryside. For us, Environmental Sustainability is everywhere: respecting the architectural and landscape criteria, using local material and handicrafts from the area, use of ecological detergents and detergents, low energy consumption LED lamps, the installation of solar panels that allowed us to support the energy needs of the farm. Included in the price is electricity, gas, towels, bed and kitchen linen, weekly linen change for guests staying longer than a week, final cleaning. Subject to availability: cots, high chairs, iron and ironing board, hair dryer. Free Wi-Fi in the apartments and common areas. Ample parking available for guests. Due to its secluded location and the available space, it is perfect for those looking for more privacy and is our housing solution for small groups and large families. Spread over three levels: on the upper floor there are two double bedrooms in pastel colors and wrought iron beds, a large and elegant bathroom with double sink and shower. In an adjacent room there is the kitchen, equipped with everything you need: stove, oven, dishwasher, kettle, toaster and fridge with separate freezer. Both the upper and lower floors have two large panoramic terraces, both equipped with a special cover, table, chairs and deck chairs from which you can admire a postcard Tuscany.